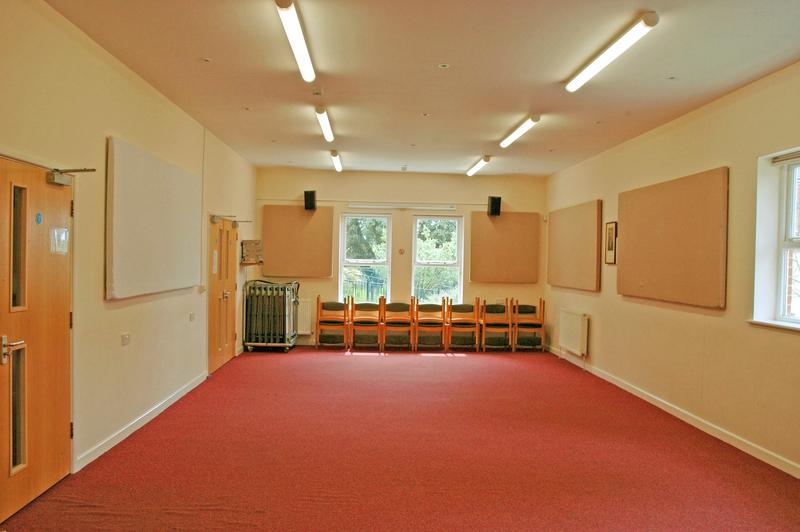 The venue consists of three meeting rooms, The Watts Room, Toad Hall, Ballroom and a kitchen. Room size: 23m x 13m. Chairs: 276 of which 27 are folding. Tables: 14 folding rectangular – 1.8 m x 0.75m. 9 folding square – 0.9m x 0.9m. PowerPoint Presentations are accommodated by the installed Audi Visual system. The image from a laptop computer is viewed on a 4 metre x 3 metre rear projection screen set in the proscenium arch of the stage. Sound from the laptop (PowerPoint, memory stick or CD) is fed through the installed Sound System. The Audi Visual system is operated from the front of the stage and both audio and visual connections are available from there. Connections for iPod or iPad are also available from there. A laptop is available for use by clients with Windows 7 operating system, Office 2010 and Broadband. Microphones. Two lapel microphones, a (corded) microphone on a stand with a place for notes is available for speakers and two radio hand microphone can also be provided to act as roving microphones for questions from the audience. A Hearing Aid Loop System is fitted in the ballroom. Client should be appraised of this and asked to set their hearing aids to ‘T’. However, with most people using Digital Hearing Aids, a loop system is not normally necessary. Notes. Where sufficient numbers are attending presentations to warrant use of the main hall, microphones are essential for delegates to hear the speakers. Whilst our technical volunteer will set up all the equipment at the start of the meeting and ensure that it is in full working order, clients should ensure that a suitably competent person will be on hand to ensure the smooth transition from one presentation to the next, monitor microphone levels and swap lapel mics if necessary. It is suggested that the main speaker or Chairman has a lapel microphone. The transmitter should be clipped on a belt or pocket and be easily accessible in order to switch off the microphone when not speaking to the audience. The spare lead should be tucked neatly away out of sight. The speaker should be present in sufficient time to have the lapel mic fitted before the start of the meeting. Presentations can be made using the clients own laptop or the Hall can supply a laptop for use with a memory stick. If several presentations are to be featured it is suggested they be installed on the desktop of the laptop. 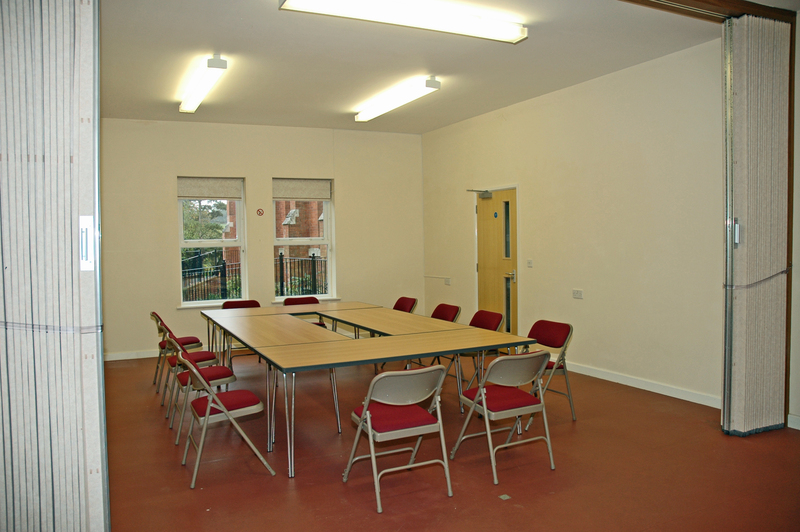 Room size: 10.5 metres by 5.0 metres Light and airy, dual aspect, function/conference room with serving hatch to the kitchen for serving refreshments etc. Dimmable lighting, pull down 72 inch screen and Broadband link, Audio Visual projector and Laptop also available for use. Hearing aid loop and sound system. Chairs: 32 in room but more available – 276 kept in Ballroom, 27 are folding. Seating capacity: Allowing for lecturer or a viewing screen at front – 8 rows of six chairs each. This allows for gangways along each side and across the back. The capacity is reduced if tables are set out. Toad Hall is a large airy room with two separate entrances and a divider screen. The room is carpeted and has a white board for illustrations or projecting images. Toad Hall also has its own sink and light refreshment facilities to compliment the hand washing and toilet situated in a small adjoining room. A broadband connection can be wirelessly enabled and a laptop audio visual projector is available. Room size: Toad Hall measures 8 x 5 metres. With the divider the main part is 5.40 x 5; the smaller part is then 2.60 x 5 metres. Chairs: 25 in room but more available. Tables: 3 tables of 1.8m x 0.8m and 4 tables of 0.9m x 0.8m are available and extra tables and chairs can be obtained from the ballroom if required. Seating capacity: Toad Hall holds approximately 30 – 35 persons. Footnote: The premises do not have TV, but a broadband connection (subject to BT restrictions) can be wirelessly enabled in all rooms and a laptop and audio visual projector and 72inch screen is available. 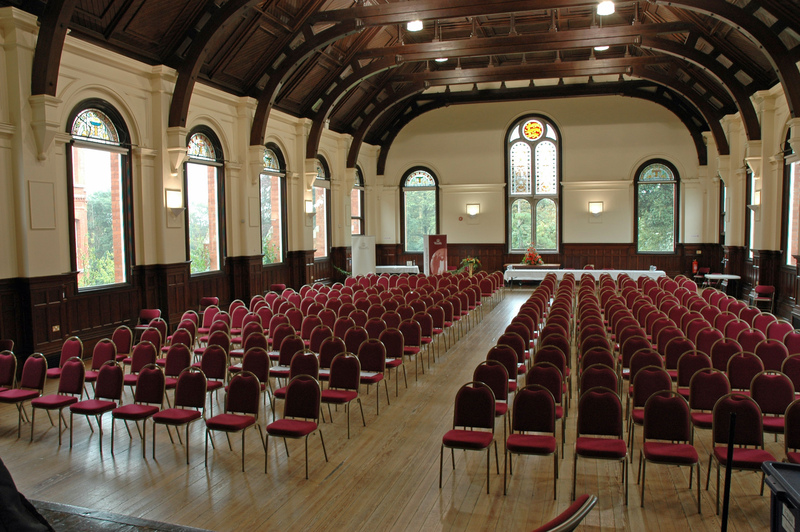 The Venue is known as Charlton Down Village Hall or Herrison Hall, Reg. Charity No. 1097442. Address – Sherren Avenue, Charlton Down, Dorchester, Dorset, DT2 9UA.